First, I want to make it clear that Georgia is much better than Detroit. That said, we may not be famous for building cars, but do you know how many tractors are manufactured right here in the heart of the south? I think you’ll be pleasantly surprised! Kubota has been part of the Georgia landscape for nearly 40 years, first opening offices in Norcross, Georgia in the mid 80’s. In 1988, Kubota Manufacturing of America Corporation (KMA) opened in beautiful Gainesville Georgia. 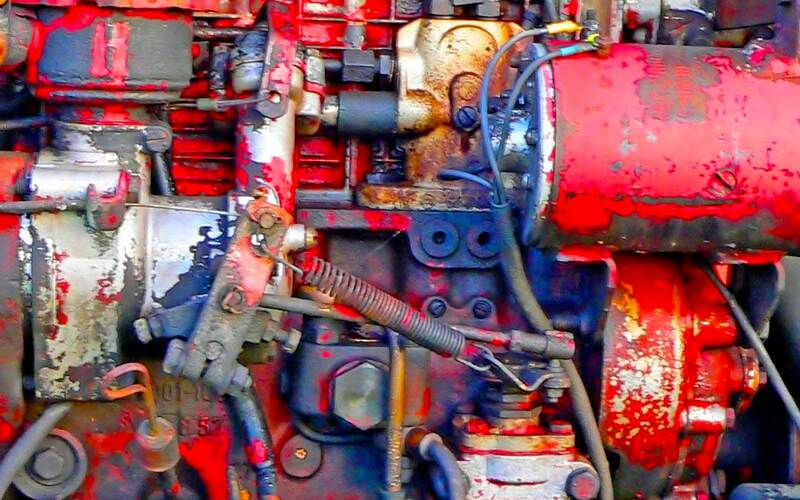 Initially, they manufactured tractor implements, tools such as front loaders and backhoes. In 1994, they expanded production to include lawn tractors, and since then they have added many more types of tractors to the line, including the RTV series Rough Terrain Vehicle introduced in 2004. Today, Kubota is all over Georgia, with locations in Jefferson, Oakwood, Augusta, and Gainesville. They employ more than 2,000 local men and women and produce more 100,000 units every year to supply more than 1,100 U.S. tractor dealers. “Growing our manufacturing operations in Georgia will enable us to achieve even greater operational efficiencies to make Kubota’s business stronger and more competitive,” said Masato Yoshikawa, president and CEO of KTC. John Deere, arguably the most familiar name in farm equipment, has been manufacturing in the U.S. since 1838, when a blacksmith named John Deere started making and selling plows in Illinois. Today there are John Deere manufacturing plants all over the world, including right here in Grovetown, Georgia. In 2014, John Deere celebrated a huge milestone when they built their one millionth tractor in their factory in Grovetown. Why GA? 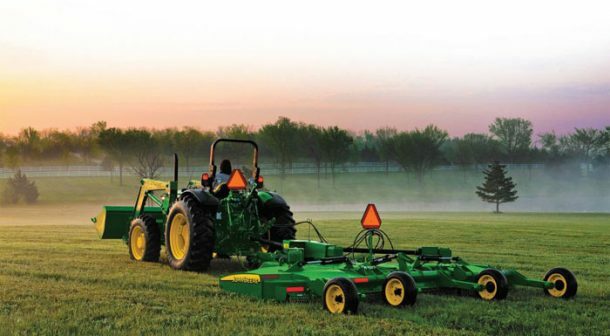 John Deere might not have started here in our state, but it has been part of the landscape for decades. In 2014, the Grovetown facility made a proud announcement when their one millionth tractor, a 5100M model, rolled off the line! Caterpillar has 4 manufacturing facilities located in Georgia; Athens, Griffin, Griffin, LaGrange. In 2016, the Athens facility received the 2016 Georgia Manufacturer of the Year award for the third time! Briggs & Stratton manufactures engines, including tractor engines, in its Statesboro, Georgia facility. In 2017, the plant produced its 21 millionth engine. JCB North American Headquarters has a 500,000 square foot state of the art facility located in Savannah, Georgia. JCB is one of the world’s top three manufacturers of construction equipment. Yanmar Tractors are assembled in their state-of-the-art facility in Adairsville, Georgia, just north of Atlanta. Allis-Gleaner Corporation, or AGCO, has been headquartered in Duluth, Georgia since 1990. They manufacture and distribute agriculture products that range from tractors and field equipment to grain storage systems. AGCO brands include Challenger, Fendt, Massey-Ferguson, GSI, and many more. This all adds up to hundreds of thousands of tractors rolling off the lines right here in our beautiful home state of Georgia. And that’s why Georgia is the Detroit of the South. Because we’re working hard every day to crank out high-quality working vehicles right in your backyard. It’s a great state to do business and puts tractor manufacturers right at the heart of the action, so they can serve the most customers – fast.